"Acousticology is a theater-musical review, and it is an event idealized by a group of impassioned of acoustic music." 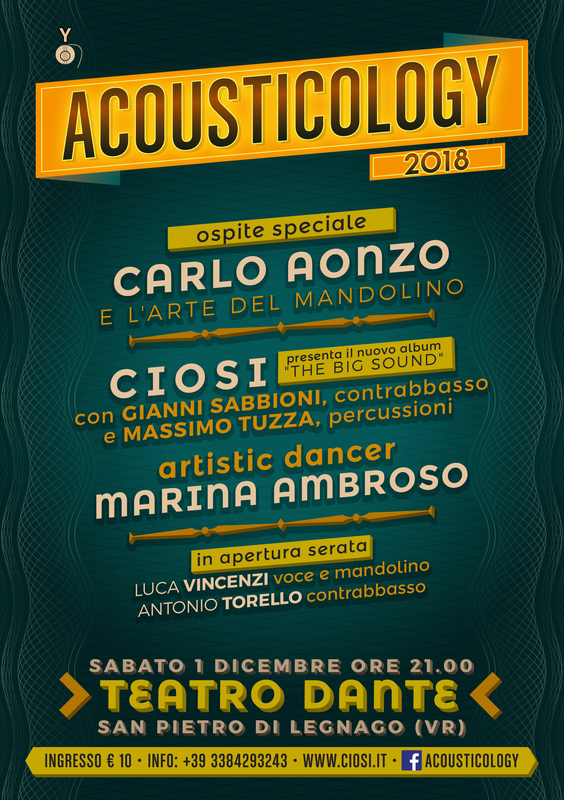 Time to celebrate for this dream of a group of guys who love theater and acoustic music, Acousticology 2018 will be making 5 years of ever-increasing and fascinating editions. This year we will have the biggest Italian Mandolinist known all over the world: Carlo Aonzo.